Many religious gifts, such as those given for Easter, Christmas, Hanukkah, Three Kings Day, Ramadan, and Dewali may become lifelong keepsakes. For example, photo frame gifts can be just the place for displaying the beautiful picture of your baby in a christening gown. A mug or poster may commemorate the last spiritual event you were part of - especially when you add words chosen from the Quran, Talmud, or other religious text. Many of us hold onto these special gifts presented to us by family or friends, each one given as we encounter milestones of faith. Cherished presents may be given for occasions such as Bar and Bat Mitzvahs, Holi, and Going Away Parties for Missions for Mormons. Faith-centered gifts are often given for times of sympathy, bereavement, and celebration. 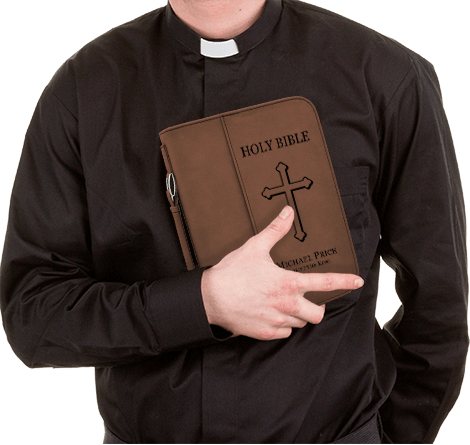 You can personalize religious gifts such as custom Bible covers, keepsake boxes, and leatherette frames here. Design a gift with a spiritual message for your friend or family. Pastors, youth leaders, lay ministers, and priests, can also customize presents here. You can show your support as a godparent for Baptism or First Communion with a small trinket displaying a favorite Bible verse. Include the date each religious milestone, the name of the recipient, and the type of occasion, when you personalize each present. Whether you are searching for a garden flag with an inspirational verse, a cutting board to upload an engraving of a Celtic cross, or a graduation gift with a dedication message, you have many design options here. Sometimes a poster to remind you that love “bears all things, believes all things, hopes all things and endures all things” can be the motivation you need to keep pressing on. 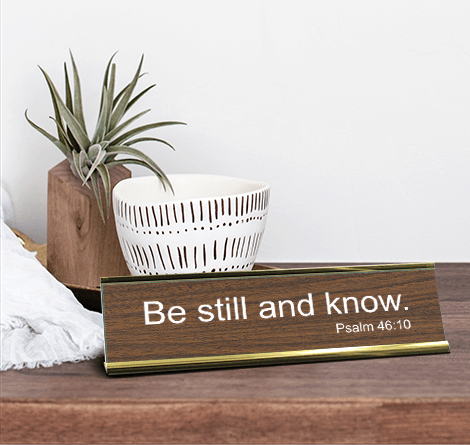 Celebrate blessings, a thankful heart and hope with this selection of religious gifts.